In just a few short years social media has revolutionised the way we connect, communicate and interact with the world. It’s easy to forget that Facebook, which was initially restricted to US university students, only became available to the rest of the world just six years ago. Now it claims over a billion active users around the world (see chart below). Twitter also launched at about the same time – today more than 340 million tweets are posted everyday – and dozens of other social networking platforms have emerged since. And while for many users social media is a platform to show off photos of their latest home-baked cakes or share videos of cats falling over, it’s also become a key part of the marketer’s toolkit in the fast-growing digital landscape. The new potentials offered by digital have made it the fastest growing sector of the marketing industry. Last year global digital ad spending alone hit US$88.48bn, while for 2012 that figure is forecast to nudge close to the US$100bn mark. Ease of use, relatively low costs, and convenience thanks to the explosive reach of social media has made digital marketing the focus for brands seeking those all-important connections with consumers. The main attraction: the engagement that – done right – can strengthen the bond between brand and consumer, building a two-way relationship that delivers value to both sides. But what goes into successful digital marketing? Simply setting up a social network account does not magically blossom into a beautiful relationship between brand and consumer. For digital marketing to be effective, brands must proactively engage, communicate, listen and respond to consumers in a relevant, open and meaningful way. Social media has given consumers a voice; they expect it to be heard and acted upon. Digital advertising’s share of global ad investment rose from 4.4 per cent worldwide in 2004 to a projected 18.8 per cent in 2012. The average percentage of consumers’ “media time” spent online increased from 11 per cent in 2006 to 19 per cent in 2011. Average online advertising investment per online user doubled between 2006 and 2011. Look at how many of the world’s top brands have established teams of marketers dedicated solely to the digital domain. Coca-Cola’s drive for consumer engagement for example has earned it a following of nearly 51 million Facebook fans and over 100 million views on its YouTube channel. Coke’s online campaigns encourages sharing of photos from worldwide events, videos of its campaigns and a “Your Stories” section calling on fans to showcase how they embrace Coca-Cola. None of it is particularly ground-breaking or sophisticated, but it’s the execution that matters. Or take the case of food manufacturer Kraft. Its YouTube channel provides a wide array of recipes and food tips aimed at mothers, encouraging interaction by enabling users to submit questions on recipes for their children and food preparation which are then addressed in later videos. In such cases the opportunity exists for a two-way relationship to develop – consumers enjoy the added value the brand provides, while the questions and issues raised allow the brand valuable insight into the minds and concerns of its consumers. Kraft’s YouTube channel has had over 12 million views. Many brands have also derived added value from encouraging consumers to share their own user-generated content on their digital platforms. For example, rather than dictating to consumers what it thinks its brand is about, US footwear firm Converse instead invites its members to post creative photos of their shoes to its digital platforms. Converse then incorporates these in the construction and development of its lifestyle branding. This has built a strong communal spirit among fans of the brand that, managed well, can become almost self-sustaining – a snowball effect. One of the key drivers of digital marketing has been the growth of mobile technology. Mobile marketing began in the pre-smartphone era with SMS-based campaigns, still a widely used platform for disseminating calls to action. Banks such as Standard Chartered for example have used this form of direct marketing to entice consumers to charge more to their credit cards. It’s a tool that also, on the face of it, appears very efficient – on average text messages are read within four minutes of receipt. The flipside however is a risk – especially if consumers don’t have any previous connection to the brand – that the message is seen as unwanted and potentially irritating spam. The same follows when applied to social media messaging, which enables connections to further content and digital offerings and allows consumers the opportunity to dig deeper in their brand relationship. But there is the added dimension that consumers are given a direct choice in deciding whether or not they wish to be exposed to those marketing messages. That empowerment means that messages must be tightly focused on consumer preferences, otherwise they risk being ignored or worse, potentially alienating consumers. Much of this comes down to a simple understanding of the technology and its utility. It may be simple, but many campaigns fall wide of the mark. For example, the growth of mobile technology has also driven the use of scannable QR codes as a tool to link traditional media campaigns to online content. The key however is both incentivising consumers to scan the code in the first place, and placing the code in appropriate locations. 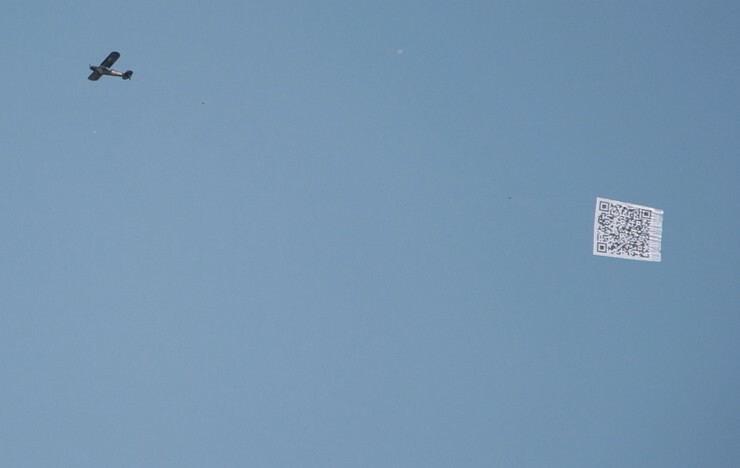 QR codes emblazoned on the side of speeding rally cars, on posters mounted on the opposite side of a high voltage rail line, and dragged by high flying airplanes demonstrate a failure to understand or think through their usability. How likely are any of these to be scanned? Successful digital marketing opens up communication in two directions. Social media in particular offer an ideal venue for such interaction because they are convenient and direct without being awkwardly confrontational. Think about how you use digital marketingAt the same time, the empowerment offered by social media has made consumers more active. They want to play an active part in the information creation process, and while this might seem a scary prospect, brands can benefit by engaging with and learning about their customers. After all, ultimately it is the brand that needs consumers more, rather than the other way around, and research show that consumers make purchase decisions based on brands that they feel a connection or emotional bond with. Take Coca Cola again, which asks its fans questions such as where and when they most enjoy a can of Coke. Using the information it receives, it is able to shape its distribution model accordingly. But at the same time, by bothering to ask consumers their opinions, it heightens their role as key brand stakeholders. The digital arena then is also shifting the balance of power to the consumer side. Today’s consumers seek brands on their own terms. By creating their own online ‘consumerspace’ they can state their values, the types of products they want, and what values they expect brands to hold. In return they also expect brands to be open and honest with them. It is increasingly important therefore that brands both understand this and follow through in their marketing messages and actions. At the same time of course, openness carries with it an element of risk. Fast food chain McDonald’s recently launched a Twitter campaign #McDStories, hoping that it would draw consumers to share memorable moments related to their brand. Instead it was swamped with Tweets bashing the chain’s food quality and tales of McDonald’s-related woe. Whether or not any of these Tweets carried any truth is beside the point. By deciding to venture into the digital world, brands must understand that campaigns can backfire and should have damage control plans in place. Like any business decision, it is important to weigh the risks against the benefits and have an exit strategy if it all goes wrong. The common reality though is that many brands pay little more than a token effort towards digital engagement. For example, surveys show that an overwhelming 95 per cent of Facebook wallposts on brands’ pages go without a reply. Many brands think that the key to success in digital marketing is sending out bulk SMSes or merely setting up social network accounts as an add-on to traditional campaigns. There are also brands who view their digital presence as merely a means of regurgitating existing offline campaigns into their social network accounts without any added value to consumers. This misses the point. Digital has opened up a new dynamic – beyond the top-down direction of traditional marketing – and into a two way channel. Rather than simply a tool to push a brand’s products and services, in the digital arena brands succeed by drawing consumers through their constant engagement. Nevertheless, despite the explosion in social media’s reach and potential, most brands still rarely use it to actively engage with consumers. With at least 51 per cent of consumers believing that inactive or un-engaging social network accounts reflect negatively on their operator, brands stand to lose immense business and valuable consumer intelligence. Indeed in some cases brands have paid so little attention to their social network platforms that they have been turned into a complaint forum by consumers. So, poor use of digital media can go beyond zero impact to causing actual damage. As a first step therefore, all brands – large or small – can benefit from examining carefully how they invest in the management of their digital community and map out responses to the information it generates. Take the example of courier company DHL Express which has trained its digital marketing team to double as a customer support team, actively engaging with customers who tweet or post about negative experiences. They are trained to ask follow-up questions and also take the lead in problem resolution. Secondly, every brand that embarks into digital marketing should focus on effective targeted engagement with its community. It is not enough to simply ask questions such as ‘What are your plans for the weekend?’ if the brand does not ask brand-related questions. The ultimate consumer-brand engagement could even involve empowering consumers in the brand’s decision-making, be it for a new product’s colours, slogan or even a new logo. More than ever, in the digital world the customer is indeed king.